A plenty of startups are coming up these days all over the UK. These startups and their owners are quite new to the world of business. These newcomers do not fully understand the value of an accountant. They find accounting services as extravagant, and unsurprisingly most of the startups fail because of lack of proper finances and accounting practices. You may have a great business idea, the best services to offer but the lack of proper accounting and taxation management can lead your business to downfall. Thus it is advised not to start a business without consulting a DNS Accountants in Wimbledon and nearby areas. Help you find the best business structure to meet all your demands. Assist you in maximizing Tax benefits and savings. New entrepreneurs coming up with new ideas find it difficult to prepare monthly and quarterly financial statements. This can be easily done with the help of our accountants in Wimbledon. Since you’ve just started up, there are a lot of things you will have to take care of, and so you will not be able to focus on the financial issues. In such situation, your business is in urgent need of expert accountants who will be there to manage all your transactions and guide you throughout the initial phase of your business. At times, clients may want to talk to an experienced person for some matters and in such situation, our accountants come to your rescue. Our accountants in Wimbledon can help you determine when and where to invest and present to you a true picture of your business. Tax planning is handled aptly by our accountants. They help you plan your taxes and reduce your tax liability. They also help in tax filing and guide you throughout regarding any financial issue. Thus, starting and managing a successful business is not very easy, and there is an important role of financial advisor and accountants in making a business successful. There is a lot to be done when a new business is started. An accountant can help you to work step by step and get a good start for your business. Wimbledon is a district in southwest London with a bevy of startups coming up every day. These startups require transparency in accounting and efficient tax planning. With the lack of proper financial solution, any startup will find it difficult to succeed. The young minds behind these startups require proper guidance regarding finance and accounting. DNS Accountants in Wimbledon has a dedicated service specially designed for startups to help them in the initial stages where they are in extreme need of guidance and help. Our Team of accountants comprises of the best-known accountants in south Wimbledon. We offer a broad range of services to our clients. Our customers are our only priority. We work according to your needs and requirements. It’s like you just have to work on ideas for your business, rest all is a matter of concern for us. Our user-friendly staff and fidelity in work has made us the best accountants in Wimbledon. Generally, tax payment becomes an issue of loss for small startups. This is where the DNS consultants come to rescue making us the best tax accountants in Wimbledon. Our highly experienced Accountants in Wimbledon provide all kinds of financial, accounting and taxation guidance and assistance to the management and owners. With the fast growing business opportunities, there is also an urgent need of good chartered accountants in Wimbledon. DNS fulfills this need by providing all kinds of financial and accounting help to all our clients. We believe in working according to our client’s demands. Your ideas and our financial support can definitely expand your business. We ensure transparency in our work. We let you know about your monthly and yearly investments, profits and downfalls in business to help you analyze your business properly and take it to great heights. If you do not have proper accounting solutions, it will be very hard for you to take up your business. Thus we recommend you to opt for an accounting service before starting your business. In addition to the services mentioned above, DNS Accountants also offers a huge number of other services to our clients. To understand business investment relief in simple terms, take an example if you are resident in the UK but you don’t have the domicile, and you wish to bring your overseas money into the UK to make an investment and not pay extra tax in the process then Business investment relief is your solution. We at DNS, help you to avail the benefits of this relief in the best possible way. You can completely rely on us for all your tax paying issues and financial problems. We work with complete transparency and according to the needs of our clients. Because your business requires day to day bookkeeping and accounting, it becomes necessary to have a year-end accounting so that all information is available at a single glance. DNS suggests you to complete the year-end accounting after every accounting year closes. We can help you through this also. We have exceptionally skilled and professional staff that does its task with complete dedication. With the help of year-end accounting, you will be able to focus on the new financial year. IPSE membership provides you piles of benefits which will protect your business and also gives access to other member-only offers which can let you save a lot of money. At DNS we have the best solutions to deliver. We can help you to take up this membership for the benefit of your start up. DNS Accountants can help you safeguard your finances and accounts. Our accountants in Wimbledon help you to keep everything related to your accounts and finance on track. DNS helps you safeguard your finances so that you can focus completely on running your business. 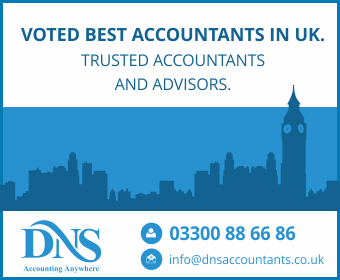 This makes DNS the best Chartered Accountants as well as tax accountants in Wimbledon. Additionally, we are also offering our services in Sutton, Croydon, Wembley, Bromley and Richmond also.